Little Beaver Lake is numbered in a nationwide list of mom-approved parks. Photo courtesy W.Va. Dept. of Commerce. 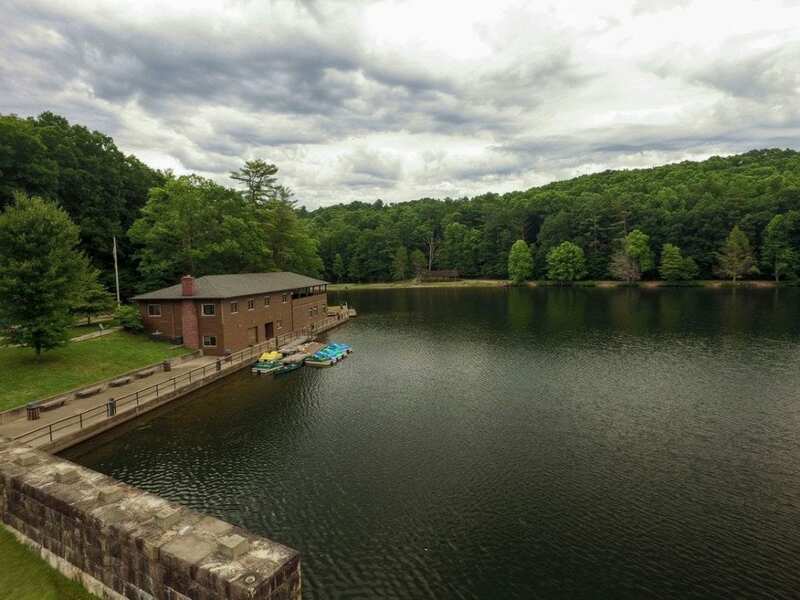 The lake at Little Beaver State Park has been nominated one of the best places to go for family-friendly fishing and boating in West Virginia, according to the W.Va. Division of Natural Resources. The list includes family friendly fishing holes in all 50 states. Only 10 of the 50 places nationwide will earn the honor of being named one of the country’s top mom-approved places to fish and boat, according to the release. Voting is open now, and each vote enters your name for a chance to win a family fishing and boating trip to Florida, according to the release. Little Beaver Creek descends through highland farms and forest into 18-acre Little Beaver Lake, the focus for outdoor recreation at Little Beaver State Park. Fishing, swimming, and paddle-boating on the lake draw visitors when weather permits, and hiking, biking, and picnicking are popular year-round. A small museum is located at the park recreation center and pavilion. A 46-site campground that accommodates tent and RV camping is open year-round. Park trails are being extended to adjacent Glade Springs Resort and the New River Gorge National River. To cast a vote for Little Beaver State Park Lake, go to www.takemefishing.org/momapproved/. Voting is open through Friday, June 29. Winners will be announced in July. Next articleLooking for a business boost?